Heart Island is la part of the Lake George Wildlife Management area. The campsite is in a small stand of mature oaks surrounded by pine flatwoods. 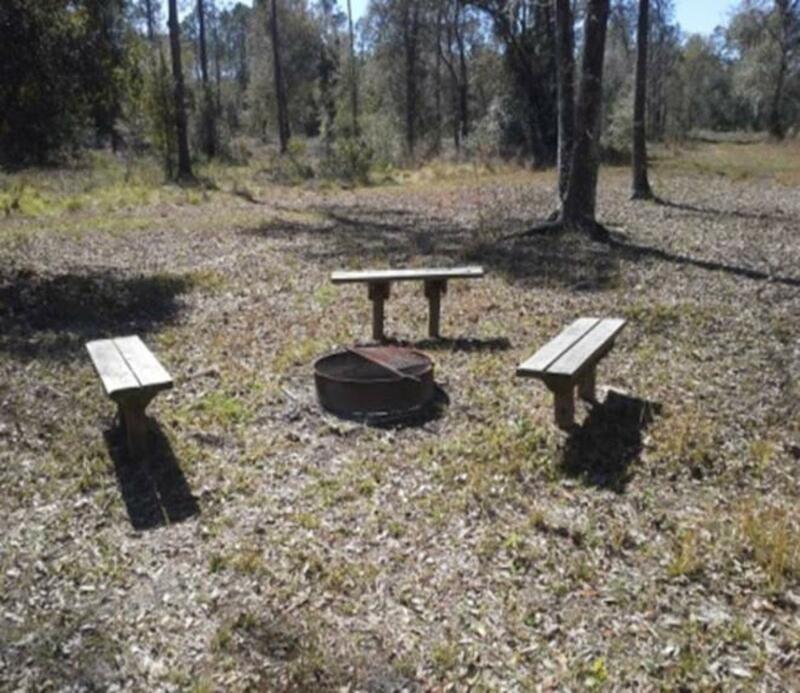 This campsite has a fire ring, benches, picnic table and non potable water. This campsite is located at 6777 Lk. Winona Rd., DeLeon Springs. Access to the gate is located approximately 1 mile south on Lake Winona Rd from Hwy 40. For more information, visit: www.sjrwmd.com/lands/recreation/heart-island/ . Please use the Leave No Trace Principles, when visiting District lands. For more information, go to: https://lnt.org/learn/7-principles . This is a Wildlife Management Area that allows hunting. Camping is prohibited during the general gun hunt season.